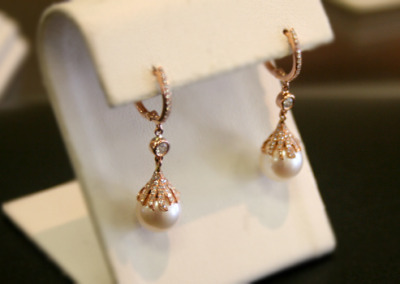 Pearl drop earrings with diamonds in rose gold. 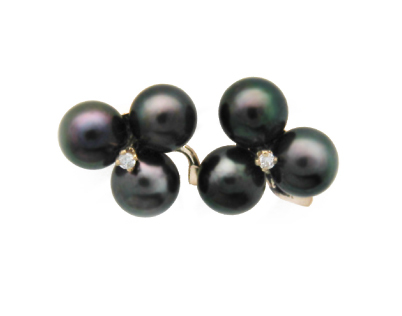 Black pearl and diamond cluster earrings in yellow gold. 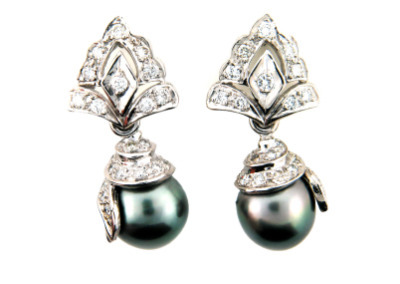 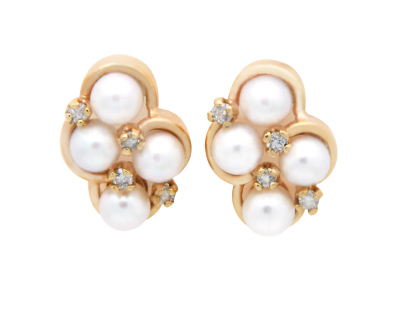 Pearl and diamond earrings in yellow gold. 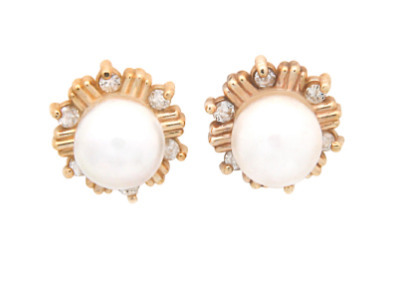 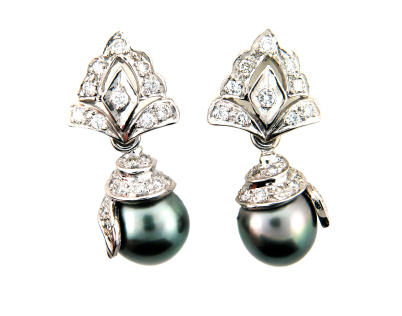 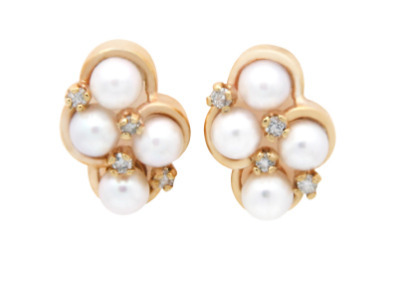 Pearl and diamond cluster earrings in yellow gold. 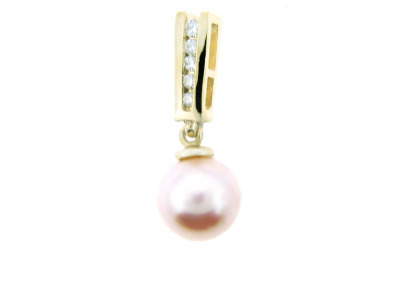 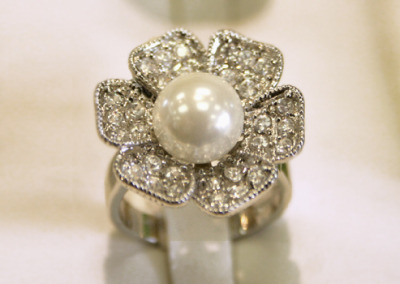 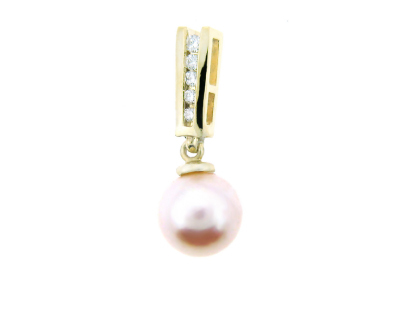 Pearl pendant with diamonds in yellow gold. 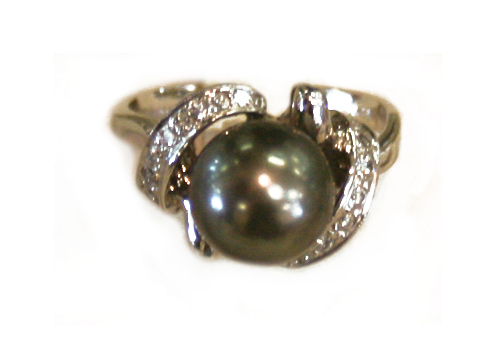 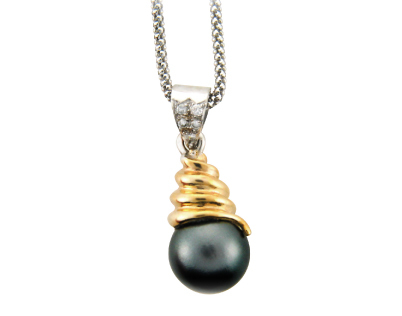 Black pearl and diamond pendant in yellow and white gold. 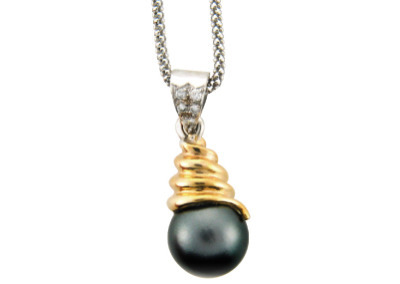 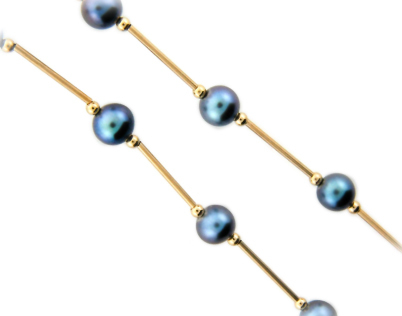 Black pearl necklace in yellow gold. 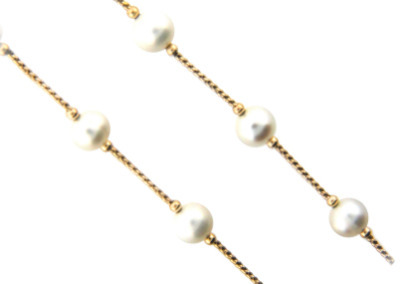 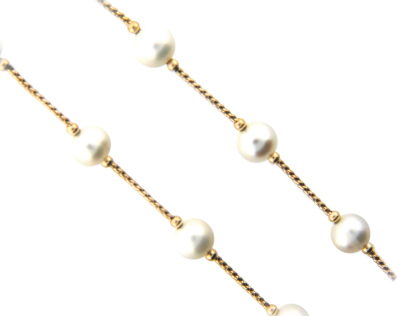 White pearl necklace in yellow gold.